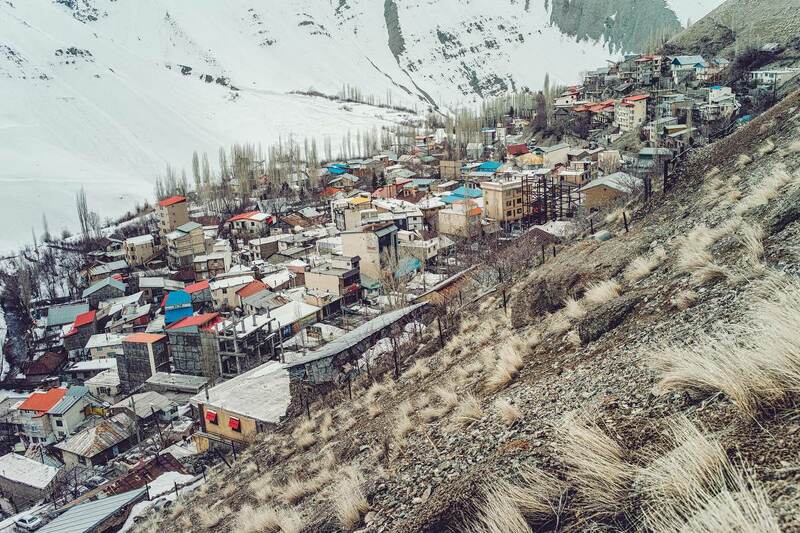 Splitboarding in Iran three main questions to be answered - different than expected - maybe not? If you tell friends and acquaintances about traveling and freeriding in Iran, there are usually three different reactions: "In Iran? But there isn‘t any Snow! ", "Iran? You have to be completely crazy to go to that crisis region! " And, " Iran? Madness, I want to go there too. It must be beautiful! " With all three opinions in our heads, we had the opportunity to create our own picture. We are four snowboarders using our splitboards to explore new mountains, seek fresh snow and discover new culture. As soon as we arrived the first prejudices were thrown aside. Entry into the country took us five minutes, contrary to expectation, without interrogation by the police. We could have saved ourselves the annoying Visa negotiations we’d painstakingly completed in advance, by just applying for a visa-on-arrival. From the first minute on Persian soil, the people were both insanely helpful and hospitable. Due to the weather forecast, we decided to travel into the mountains, to the resort of Dizin, immediately, leaving the desert and Teheran behind us. Contrary to our assumptions, powder is not an alien word to the locals, in fact they love it - all the visible slopes were completely ploughed! 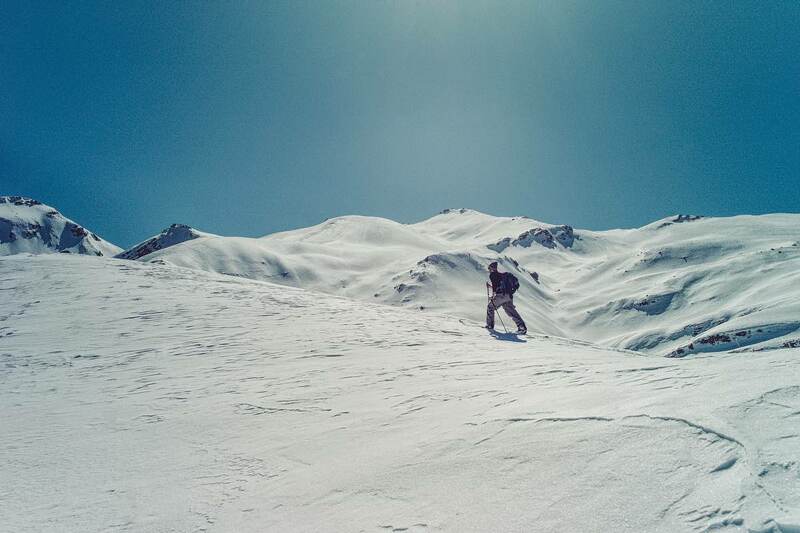 At 3,600 meters, we discovered that the snow to the side of the pisted slopes was still in good condition. We set about searching for the most remote lift to get an overview of the terrain beyond the Ski resort: It opened-up endless possibilities to us. The conditions were fantastic, the snow cover was stable – there were steep couloirs and empty slopes as far as the eye could see. Over the next few days we toured extensively accessing new areas and riding countless untracked lines. The tours were exhausting but worthwhile. 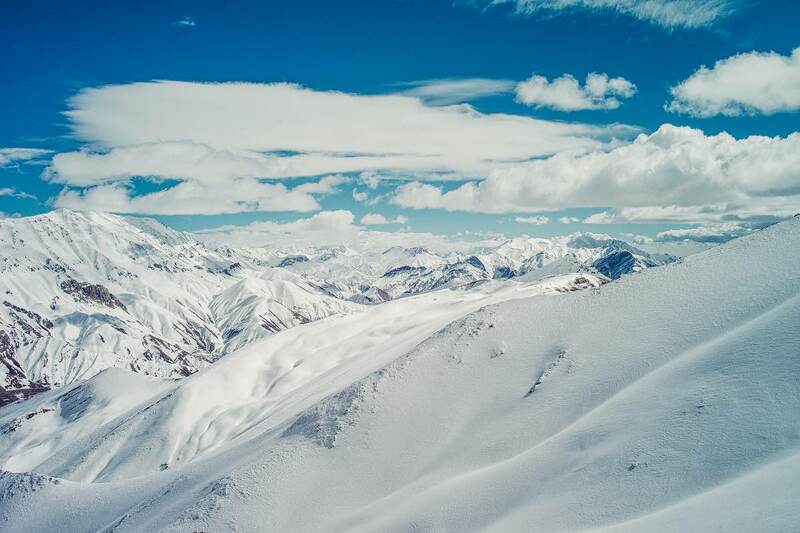 Breath-taking views from Damavand (5,600 meters) to the desert beyond Tehran captivated us. We were rewarded with the finest fresh snow and Bluebird weather; the days just flew away. In addition to their mountains, the Iranians were particularly good to us. Everyone was excited to get to know us. We met great people, like Amid, a taxi driver who took us to the Caspian Sea in the taxi and taught us Persian dance moves whilst driving. And we spent fun evenings with Omid and his friends, although the conversation of "Dizin, ski, good! ", "Ok?" and "Ok!" were a little bit limited. With these few English words and a few nuggets of Farsi we were soon well known characters in the village. PS. I am using a PallyHi 3/4 long since 2 years and it is just great. Up to 5 days touring and sleeping as well and no sighn of bad smell. Supersmooth Merino... I could write something more but I want to keep it short. It is the best Merino underwear I used in the last 20 years for snowboarding and splitboarding. And I always use long trousers as first layer, no matter what conditions.